NEW DELHI: Pepsi’s bottled mineral water Aquafina will be sold at the same MRP across the country, Food and Consumer Affairs Minister Ram Vilas Paswan said. Also, cricketing association BCCI will ensure that bottled water is sold at same MRP at all of its cricket stadiums, he said. 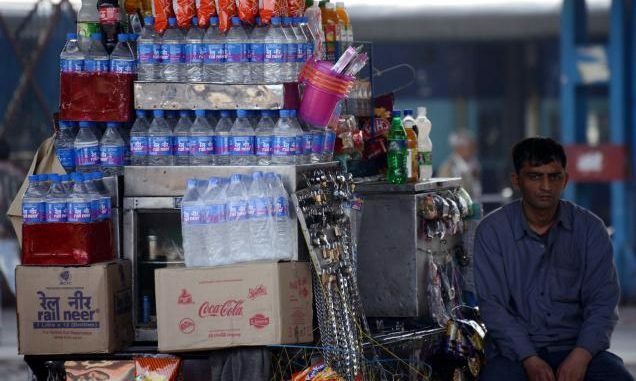 Food Ministry’s push for the same maximum retail price (MRP) for packed food and beverages has led to Pepsi promising to sell its mineral water at one rate across the country. Paswan said action can be taken under the law for having dual MRP on any product and consumer courts are already taking action. “Dual MRP is against the law. We have got one success. Pepsi has said that it will sell ‘Acquafina’ mineral water at one price or MRP across the country. BCCI has also directed that all bottled water will be sold at MRP in its cricket stadiums,” he told reporters here. The BCCI secretary has also issued a circular that bottled water will not be sold at price higher than the MRP, he said, adding that the ministry has started getting success after its effort against “dual MRP”. Paswan said there are enough provisions in the existing law to deal with unfair trade practice of charging dual MRP and asked consumers to register complaints. Last month, the Consumer Affairs Department had sought explanation from companies selling packaged mineral water for having different MRPs of bottles for various places. It had directed that the sale price should be same at airports, hotels and malls. “Mineral water bottle will be available at the same rate at airports, hotels and malls,” Paswan had tweeted. In October last, he had said that sale of packaged water and soft drinks above MRP –including at airports, multiplexes and hotels –would attract stringent penal actions like fines and jail term. “Charging above MRP is violation of the law. But we still see at airports, multiplex and hotels, that packaged water is sold at more than the MRP. This needs to be stopped,” Paswan had said.